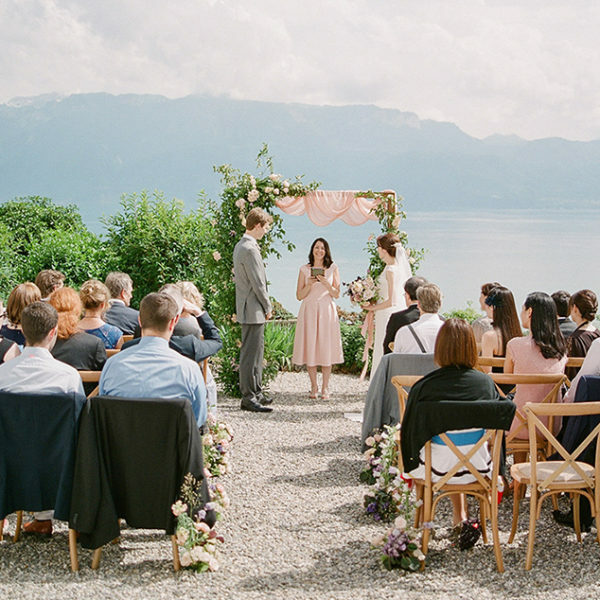 A secular ceremony (also known as a nondenominational ceremony, humanist ceremony, symbolic ceremony or a ceremony of union) is an alternative to traditional ceremonies. It allows an important life stage to be marked by reflecting the personal, cultural, spiritual and philosophical convictions of each and every one of us. Secular doesn’t mean atheist: every person or couple has their own beliefs, whether they are based on a religion or not. If there is one doctrine that is unanimously endorsed in the course of these celebrations, it is Love! 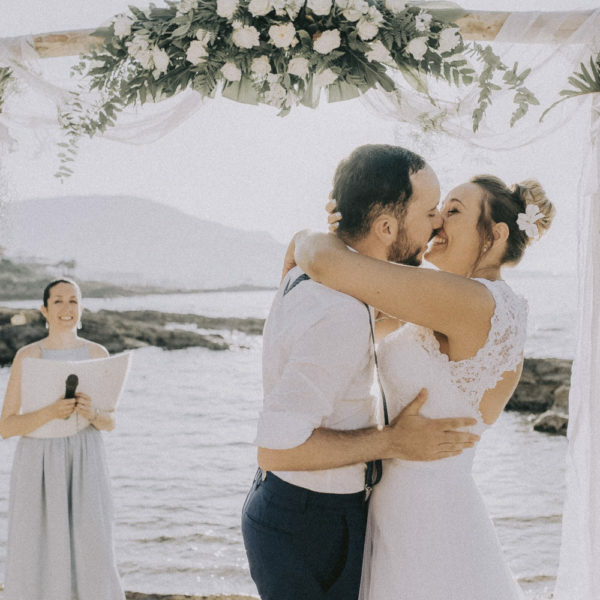 The secular ceremony is a moment filled with emotion, and is it is unforgettable for the married couple and their guests, as it relates first of all to marriage within the meaning of a union. We demonstrate a commitment to ourselves, to our loved ones and to those around us. With strong words and symbols, we give soul and depth to this act and this very important day. • You are a couple that wishes to celebrate this important life transition in a unique and intense manner by giving it deeper meaning. • It’s essential for you to remain faithful to your ideas and values with a secular wedding created in your image. • You are ready to invest yourself and confide, to take an exceptional step, and be ready to disclose yourselves not only as a couple but also to each other. 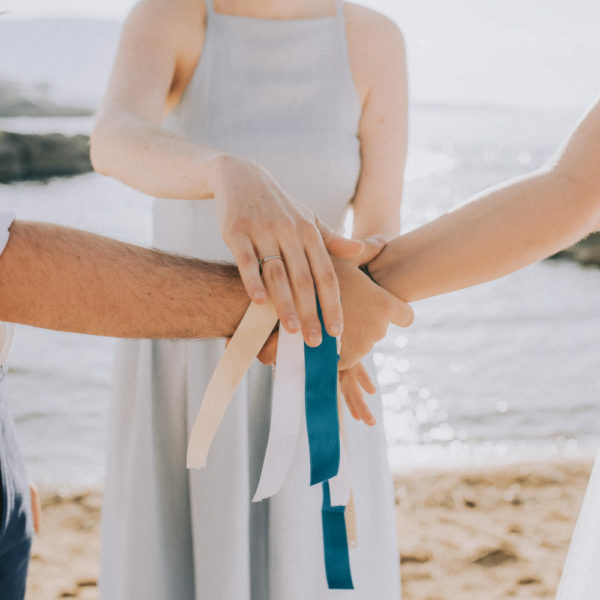 • You are from different religions and/or cultures, gay couples, have already been married or in a registered partnership and wish to value your commitment. 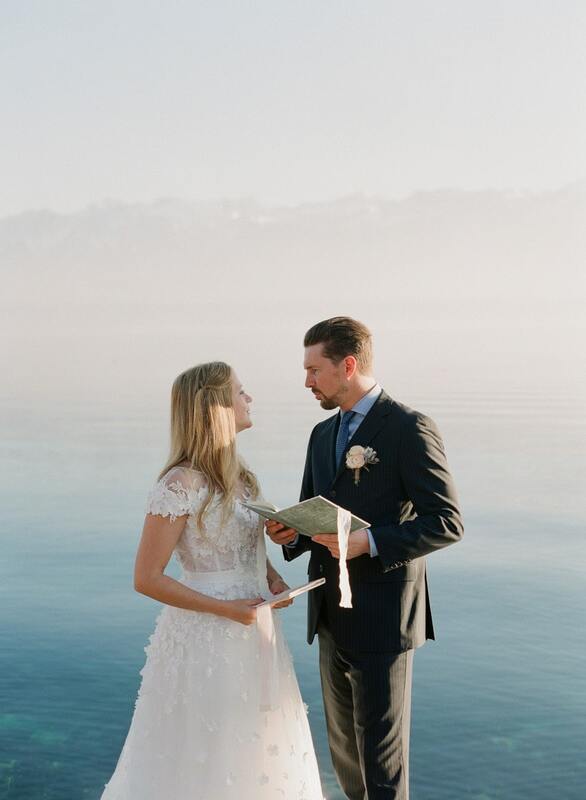 We take a walk through your love story, and we develop a concept of a symbolic and authentic ceremony that reflects it. 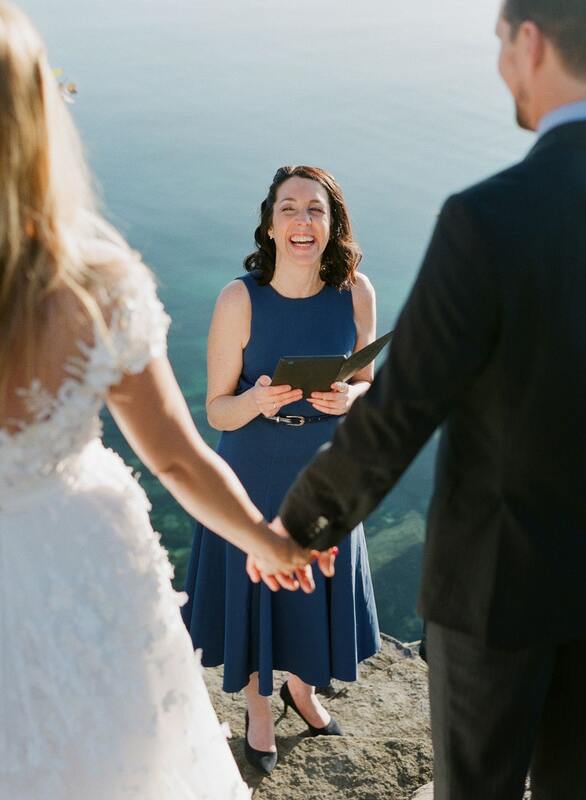 We create it through meaningful teamwork, you are guided through a process of co-authoring, beyond the images that have been seen all too often in the over- commercialized world of secular ceremonies. On the big day, we bring your wedding preparations to life. I will be there with you, as I have been in the last months, and I will take you towards the “I DO” that will begin the next stage of your life. 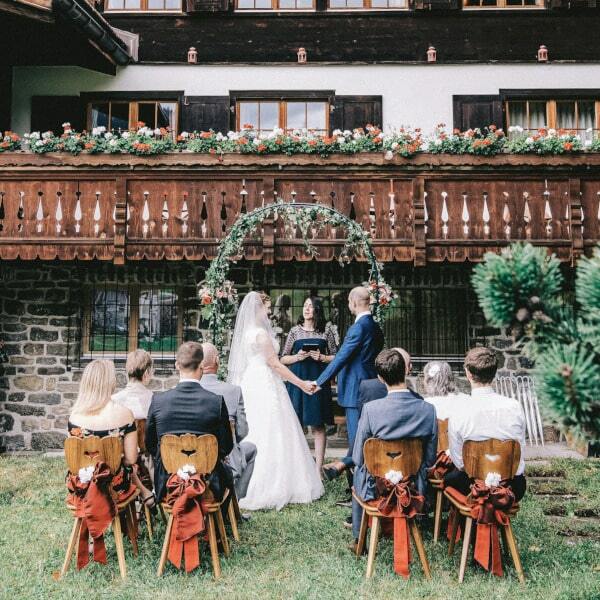 Would you prefer to seal your union or celebrate the renewal of your vows, just the two of you or in a small group? 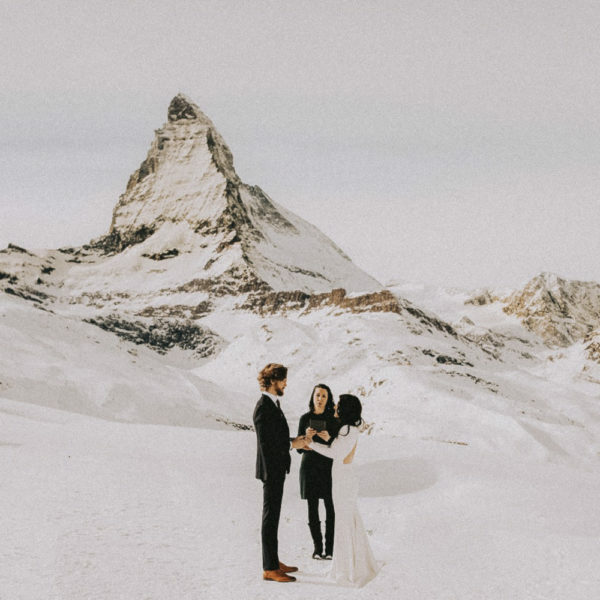 You love the idea of an elopement in Switzerland? Another way of saying I Do or of repeating your vows in a non-traditional way is by creating your bubble of love in a place without boundaries. Would you like to create a symbolic ceremony to mark the birth of your child? 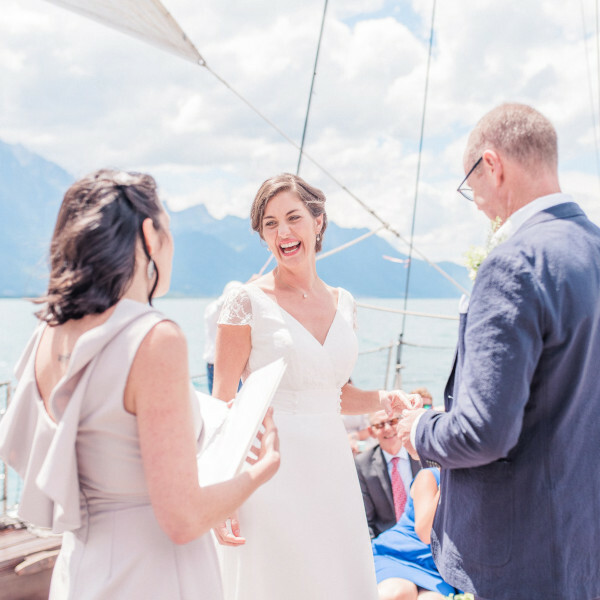 I can also work with you to create and celebrate a secular naming ceremony in Switzerland.